Recent years, changes in climate have caused some impacts on human systems and natural, across water bodies, e.g. rivers, lakes, etc. causes some problems to agriculture and food security, especially in the fields of irrigation and fisheries sectors. Climate change impacts such as unpredictable and changing seasonal weather variation, etc, is causing lower crops yields and fish production. Controlling this climate change, is probably by introducing trees, herbs and shrubs along water bodies’ banks, creating more ponds, dams or basins in order to collect and retain water, through the agro - ecological techniques and data collection on environmental water bodies’ parameters in order to ascertain, assess and address the environmental impacts. Research was conducted on the impact assessments of biological water quality and condition factor of Catfish (Clarias gariepinus) of Lake Alau, Nigeria, with focuses on important aspect of the biological factors (planktons composition, abundance, and distribution) and condition factor of catfish of Lake Alau. The lake serves much purposes; irrigation, fishing, source of drinking water and domestics purposes for humans and animals, is subjected to intensive use. Planktons and fish condition factor were studied and information was revealed. The plankton was made up of three genera and ten species of zooplankton were identified; Rotifers dominating the fauna with five species. Nine species of phytoplankton were identified; Chlorophyceae is the most dominant taxa with five species. Catfish in Lake Alau were in good condition in all the season. Biological water quality parameters were within the observed composition in unpolluted water bodies and found to be within the limit range for aquatic life, domestic use and for high yield for fish production. Lake Alau is maintaining its productive status and has high potential for fisheries development which was in conformity with recommended values for freshwater fish production. The extreme ecological condition of the lake, especially the climatic variation could have resultant effect in modifying the lake ecosystem. 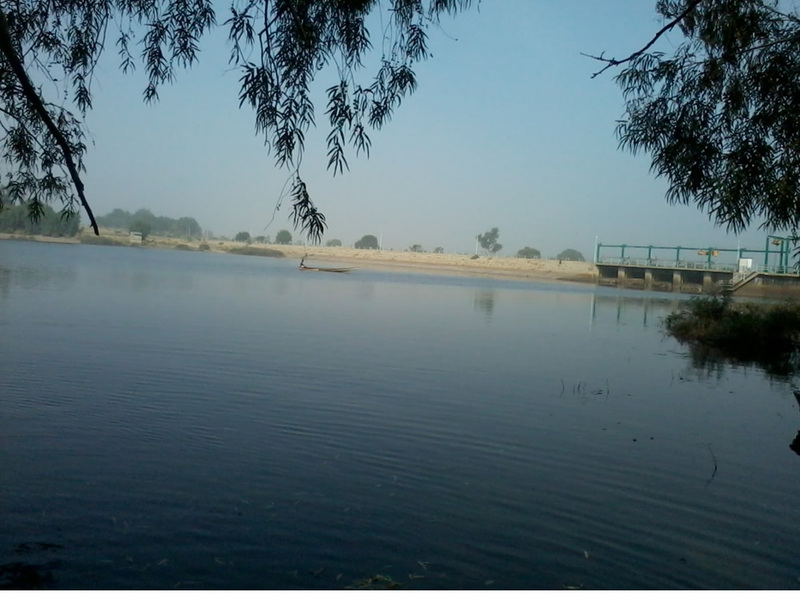 Water regime in this lake was mainly influence by rainfall pattern and discharge from its tributaries. So it is expected that any variation, weather seasonal or spatial in biological characteristic and condition factors of fish of Lake Alau may be influence by climatic regime and catchment characteristic i.e. extent of human activities and water volume fluctuations. This is the site view of station ‘B’ of the Lake Alau were, a bridge was linked to the various farmland and the Alau villages. The station is located closed to the community of Alau village. Low farming activities take place here; the water is deep and flows faster. Figure 2: Fishing activities taken placed in this Station. This station, where fishing activities were been taken placed and which was among the selected stations. 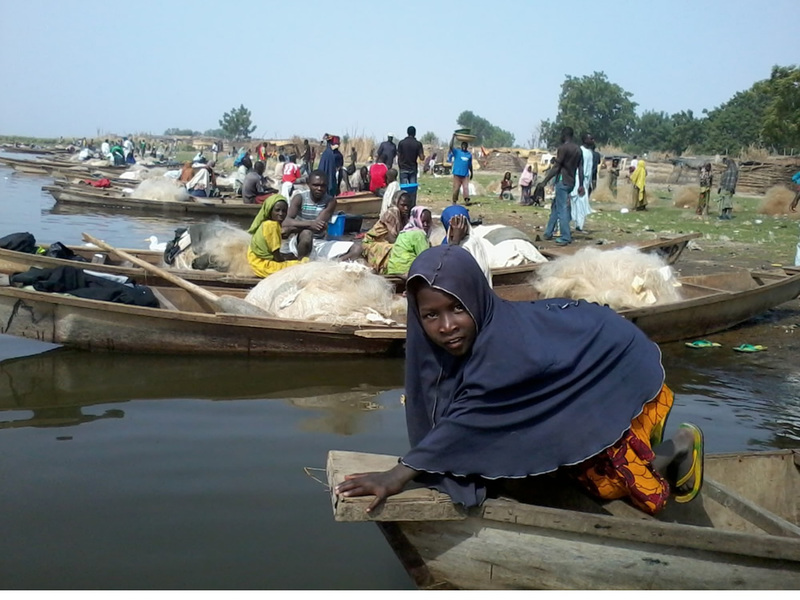 You can see some canoes were loaded with fishing net and local women and men came to buy the catches. The station is located closed to one of the Large fishing camp of fishermen; a lot of human activities are taking place in this station.